Friday was a special day, a day to be celebrated and wondered over. A day I have been waiting for, for many long years. Seriously. Friday was the day these ladies arrived. As well as our lovely little chicks we now have 4 ready to lay hens. According to the feed ‘n’ seed they are Black Sexlink. Black. Hmmmmm. But they are lovely and fabulous and very much enjoying their new, hand-build accommodations. As well as their gorgeous house, Stephen built them a wonderful run so that they could fully enjoy the outdoors. And enjoy it they have. 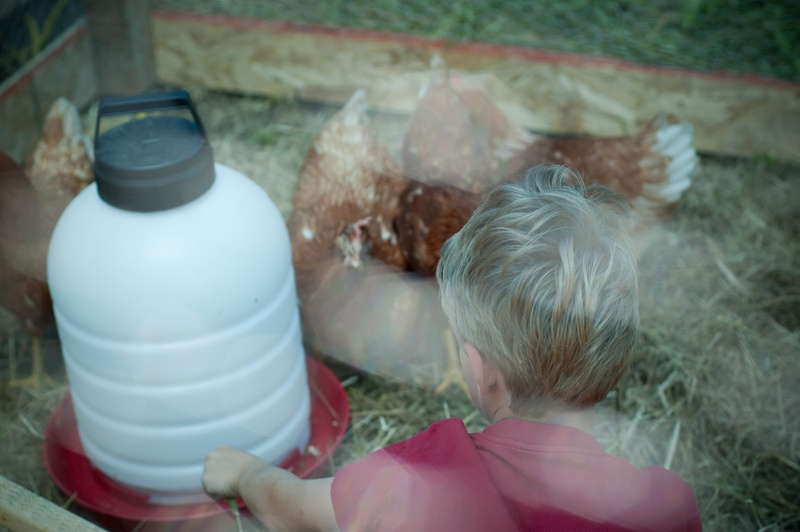 Apparently what works for chickens also works for very nearly 6 year old boys who really, really, really want to be bf’s with the chickens. They are more into scratching. 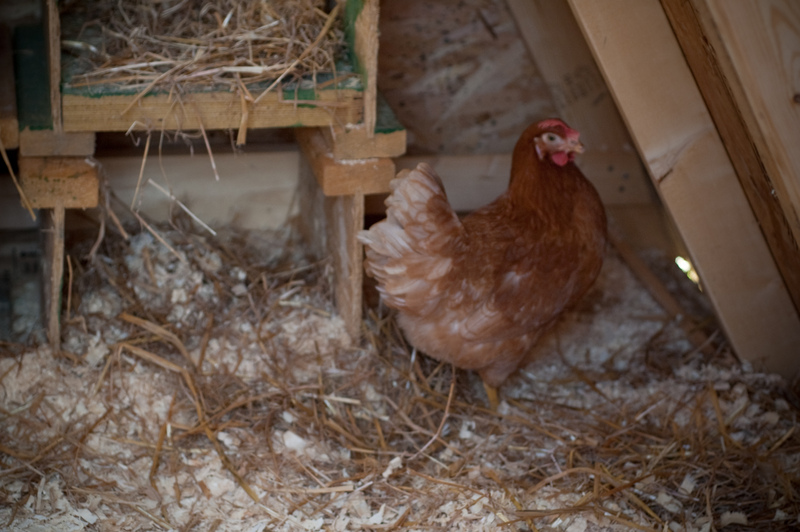 The run was built from scrap wood from the house build and the rest of the chicken wire used to build the henhouse. The tarp across the top is to protect them from the scorching sun that we are prone to in these here parts during the summer months. They seem to enjoy the shadier parts of the run and spent today making themselves little dust baths and ground nests. Watching them has become our favourite form of entertainment. Of course it can’t all be fun and games. 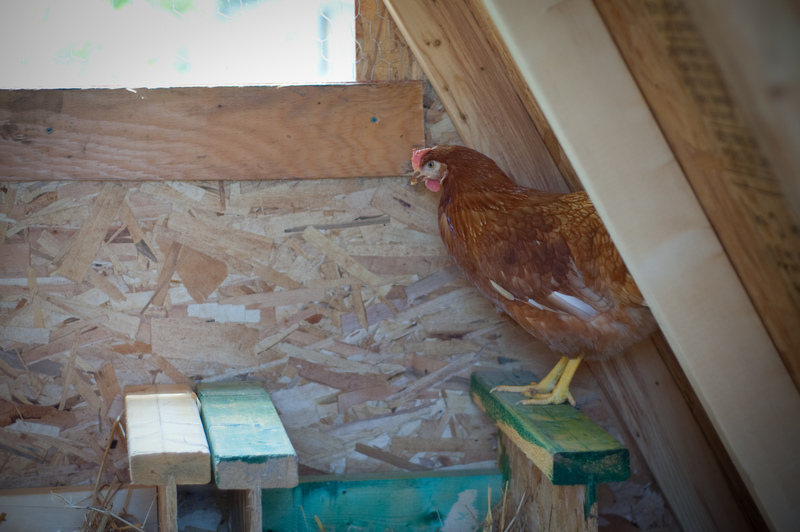 In between watching chicken breaks, someone built the run and a feeder. 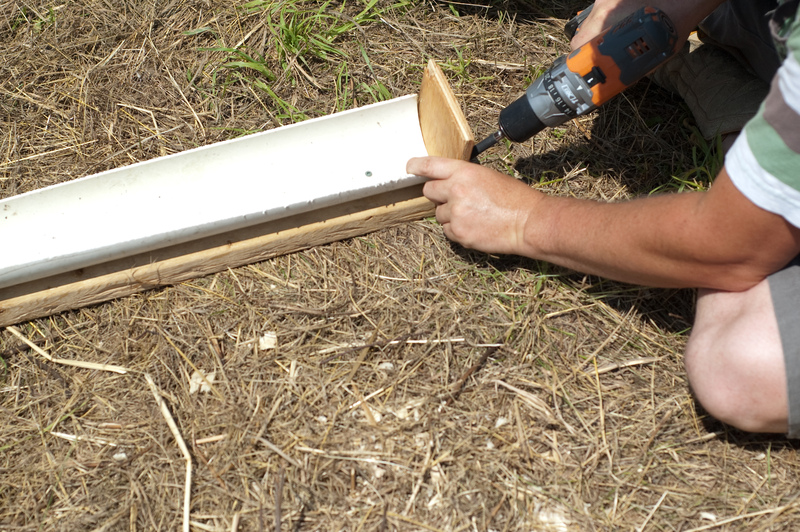 The feeder is made from a drain pipe cut in half and attached to a heavy board with wooden end caps. That is what I call actual genius. So far the count is 2 on Friday, 4 on Saturday and 4 today. 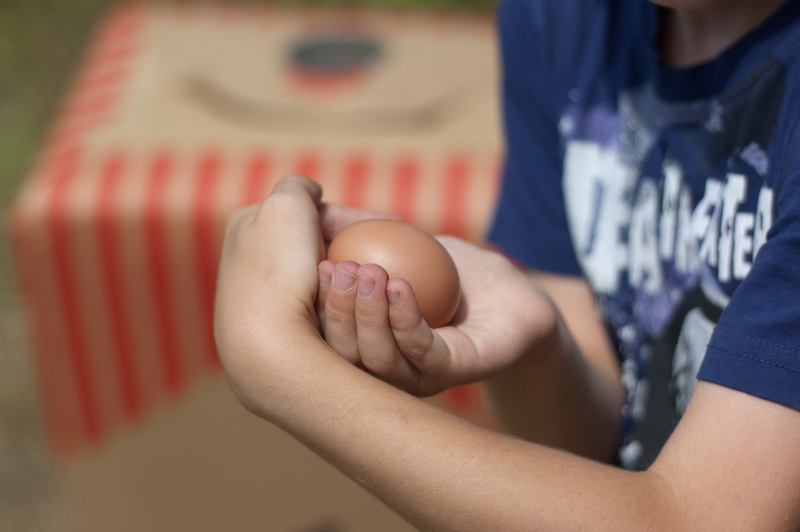 That’s right, we are at full egg production! 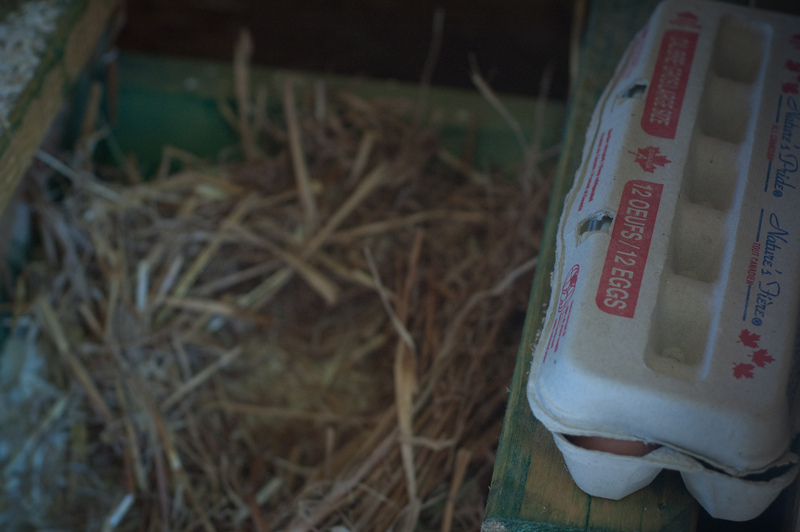 Every day we are coming away with 4 eggs, ready to be turned into pancakes (Saturday morning breakfast) or omelets (Saturday dinner) or quiche (on the menu) or any other number of wonderous things. I have wanted chickens for so many years and can hardly quite believe that we now have them. Lots of effort (mostly Stephen’s to be fair but I did do some ordering and holding of tools and occasional passing) but it all feels worth it. Not just because of the fabulous eggs but the bliss of watching these creatures enjoying life. We had plans today but they were abandoned in favour of sitting with a snoozing toddler in the summer sunshine, with a cooling breeze washing over our skin. Stephen and I sat and chatted, reveling in this place that we have found and just couldn’t bring ourselves to leave. We couldn’t imagine anything better. Hoping your weekend was equally lovely. So exciting! 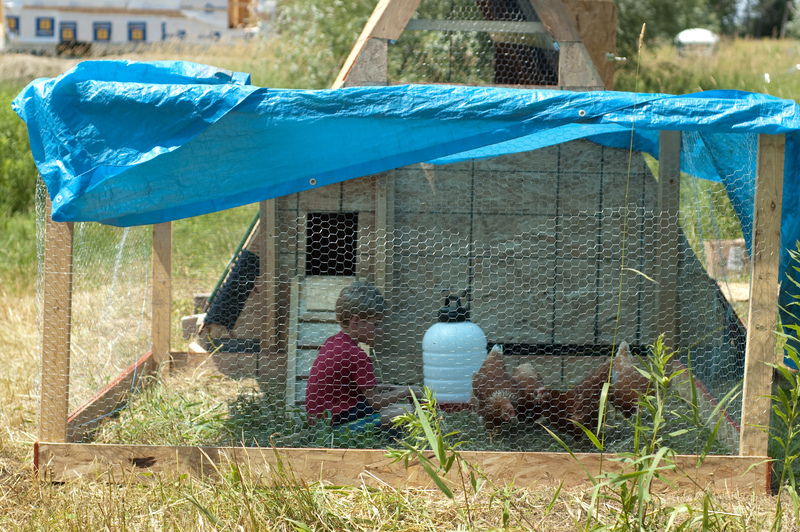 I don’t think anything soothes me more than watching chickens scratch around a yard…odd, eh? Congratulations on your lovely ladies!! congrats. 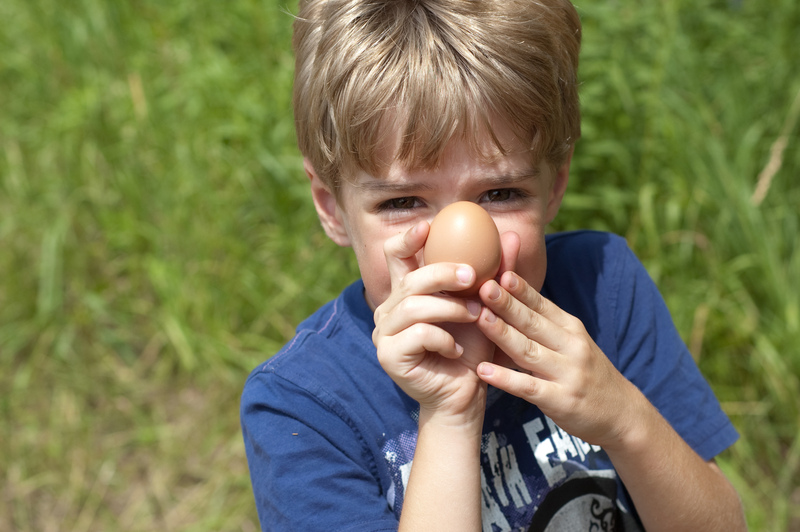 Apart from the wonderful advantage of having the eggs and looking forward to all the lovely fresh eggy dishes you can make, I think it’s marvellous for your child to be able to interact with the chickens. I feel that animals are such an important part of childhood; they teach us sooo much and way too many kids simply don’t have the opportunity to learn from them. My three all had chickens, birds, fish, guinea pigs, a dog and a horse when they were little. Now as young adults they all tell me their lives have been enhanced and so much the better for having had animals. Your little boy looks very contented I must say. I now have coop envy. What lucky chickens you have.